-When the young Michael Douglas was like “Just kidding, carry your own luggage”. And I was all like, “What a jerk!”. -Then the young, arrogant Michael Douglas (and that other person) slid down the muddy hillside. “That’s what you get!”, I yelled at the TV. -But then whatsherface see’s an obviously staged skeleton and the young, arrogant, sensitive Michael Douglas comforts her. -Next, the young, arrogant, sensitive, educated Michael Douglas reads an old copy of Rolling Stone to that one chick while they inhale cannabis over an open flame. -Then, the young, arrogant, sensitive, educated, nervous, Michael Douglas tries to negotiate his way out of a sticky situation. -Oh, yeah. And then Danny DeVito shows up a few times. Doesn’t he know that the young, arrogant, sensitive, educated, nervous Michael Douglas isn’t just “some guy”? -Later, the young, arrogant, sensitive, educated, nervous, suave Michael Douglas puts the moves on the crazy cat lady. Whoa. -And I almost forgot! They found some fancy stone. 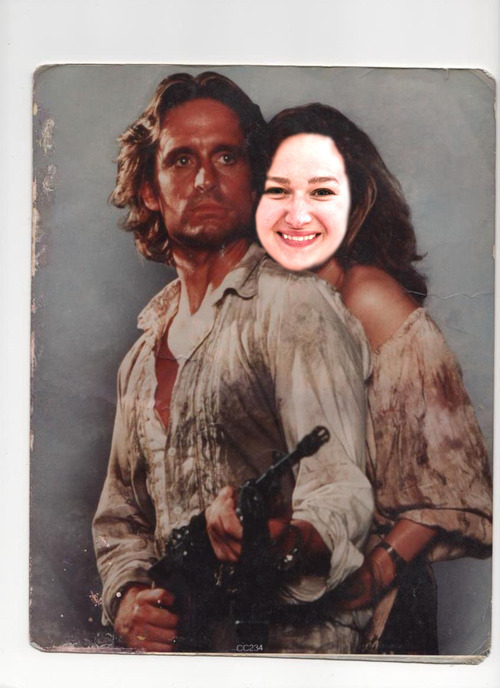 -Lastly, the young, arrogant, sensitive, educated, nervous, suave, loaded Michael Douglas and plain Jane live happily ever after. 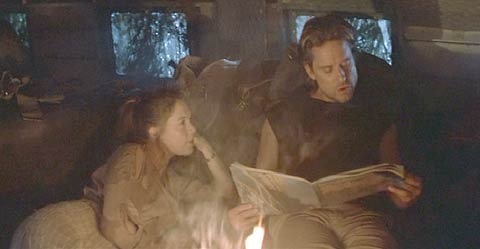 Though it’s probably one of the cheesier movies on the list, I truly enjoyed my first watch of “Romancing the Stone”. Bravo to Michael Douglas who also produced this film!